Keep your keyboard and surrounding area free from dust with the handy USB mini vacuum. 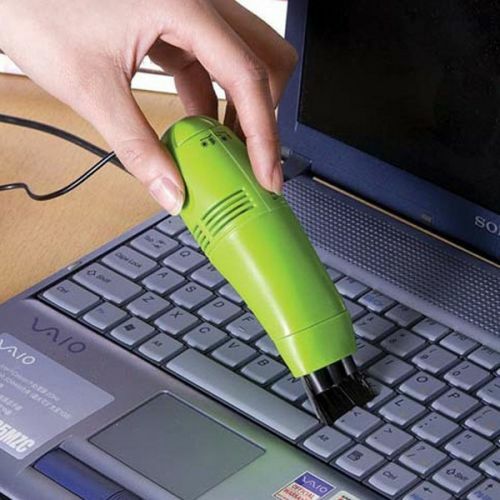 Simply connect the vacuum into the USB port of your laptop or computer and away you go. It comes with two cleaning attachments, one bristle brush and one flexible rubber attachment. Requires no external power source, it plugs straight into any USB port. Ideal for PC / Notebook. Package: 1 x Mini Computer USB Vacuum Keyboard Cleaner.